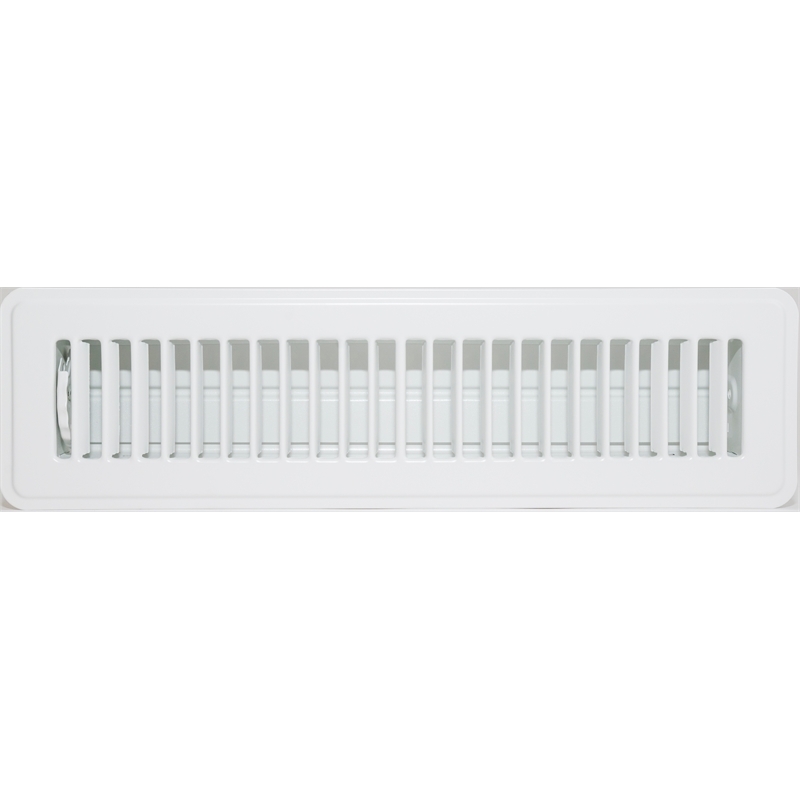 Traditional style kick rail register for installation in vertical surfaces in ducted heating systems. 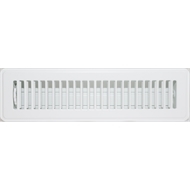 This is regularly used in bathrooms and kitchens, where there be no opportunity to vent up from the floor. Neck size is 5 x 30cm and face size is approx. 9 x 34cm - as there is a 2cm flange around the neck.